A little something just arrived today and couldn't help it... w00T w00T! Although...call me crazy, but...I think dark purple calipers would look badass with the car color and wheels. Purple would be an interesting choice! I was thinking of going with a bright blue but overall i'm happy with the green! That is a sweet looking sleeper! 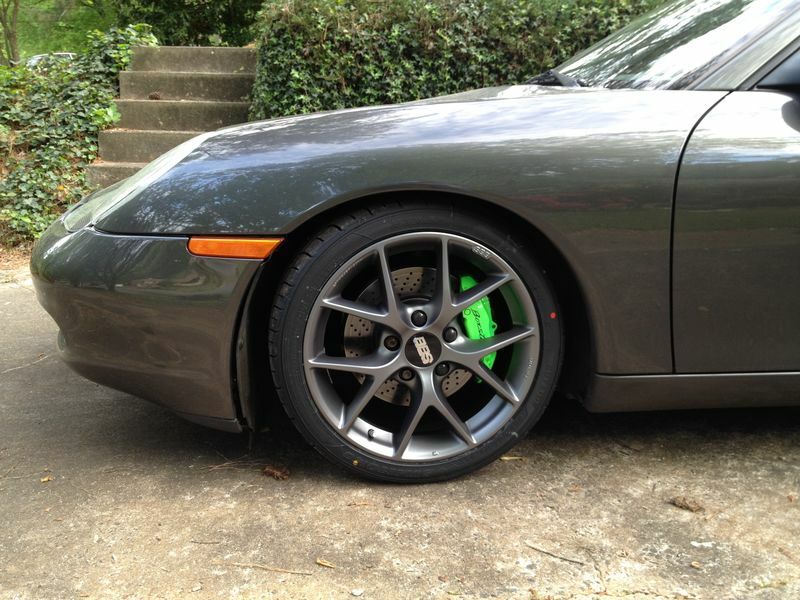 I think lime green seat inserts would go quite well with those calipers. Looks good. Where's the dirt? nice rims. 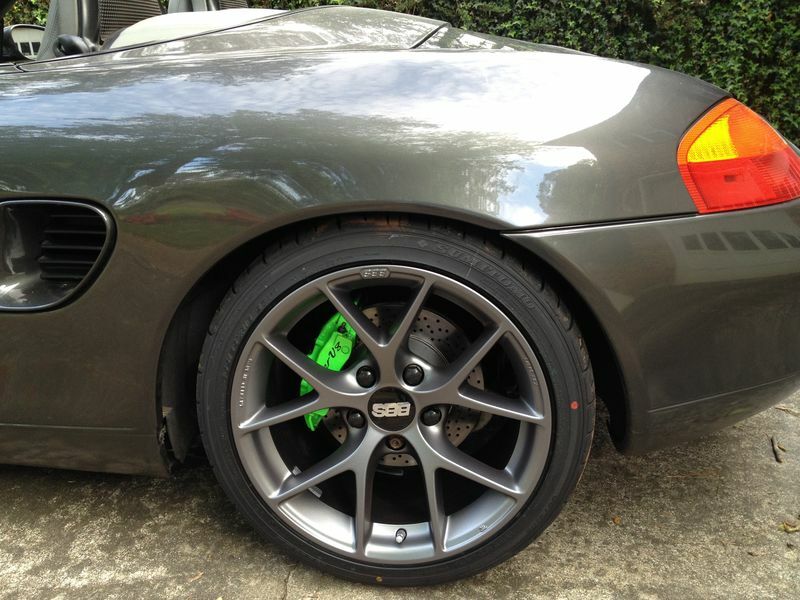 But with that color combination i'm not shure if the neon green calipers pop out a litte bit too much. Same to the front sidemarkers and rear lights. 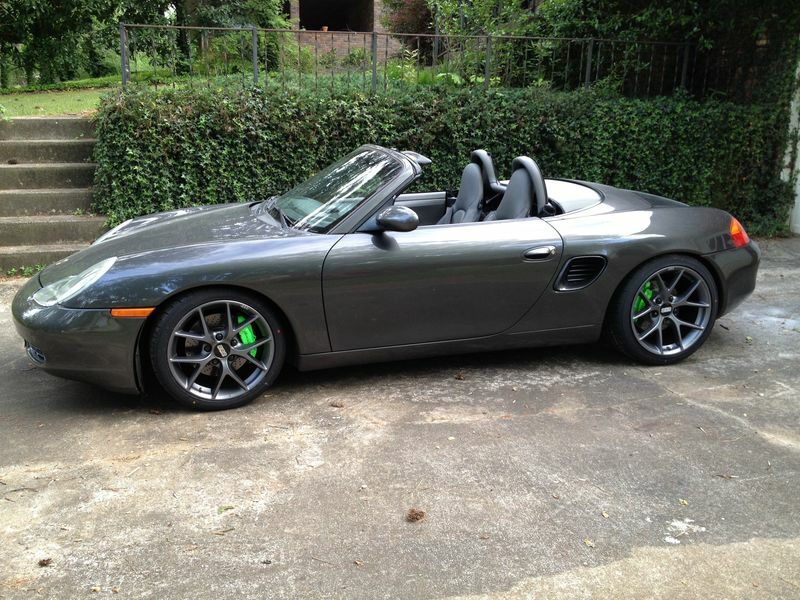 I think i would go with red calipers, white/clear front side markers (the eu ones) and red/white rear lights. Or, if the sidemakers and rear lights had to be untouched i would paint the caliper orange. Maybe i would add some dark grey matte stripes on the car body. Or because the top is light grey something that fits to that. Just my 2 cents and the rims are really nice. I did the green mainly because I had already done the engine stuff that color, and I did want it to pop a bit more then usual. I had thought about orange or a blue, but I didn't want red or any other standard color because I definitely want it to be different! I am hoping to get some graphics on the car here soon before I go to the half mile drag event. They will also be green - It will be a bit much but I guess that is the point of it Reminds me that I need to get in touch with a new company as the guy I was working with seemed to lose interest once I didn't want to go with a full wrap~ Oh well! I appreciate the compliments everyone!! I'll have the car out at the Wanna go fast event in Clayton, GA on Saturday May 14th if you would like to come and check it out. 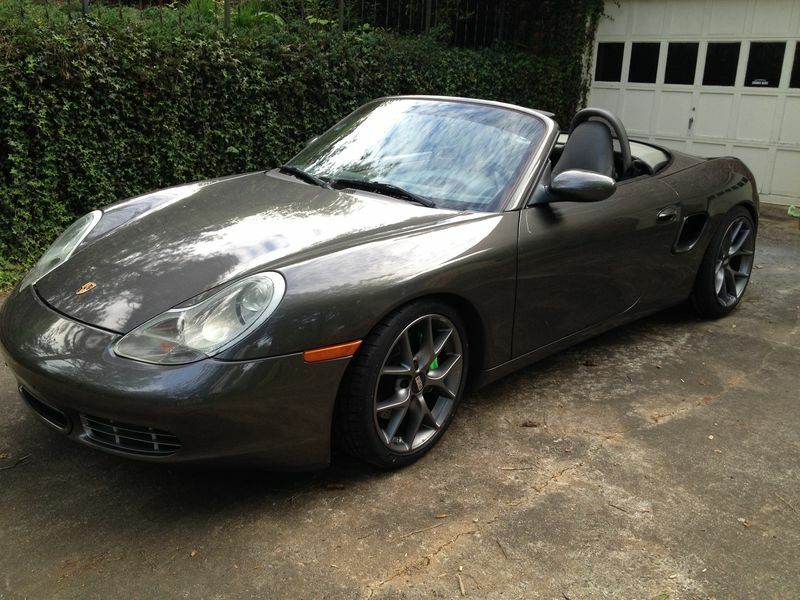 I likey, what size 17or 18 and is it stock ride height? Thanks man. They are 18's and car is not stock ride height. Not sure how low it is but I'm using H&R RSS coils overs. It's pretty darn low though.